Join us to discuss solar co-operatives - this week in Masset & Skidegate! Yes, absolutely! 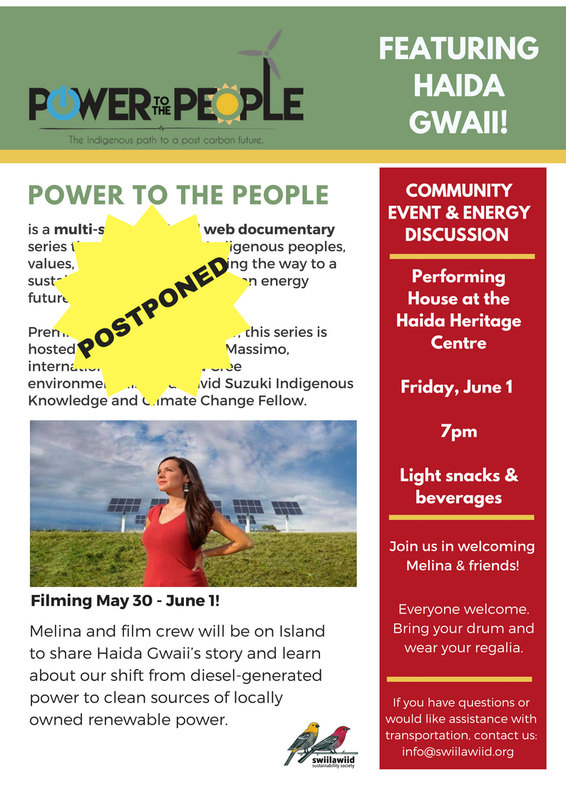 Everyone who wants to talk about Haida Gwaii’s energy present and energy future is welcome. No, it’s helpful to know how many people to expect for catering, but registration is not required. Where is the renewable energy symposium? In Gaw, at the Old Massett Community Hall. Of course! We’ll post a detailed agenda to review. You are welcome to stay for one session, one day, or the whole event from start to finish. The door is open & all are welcome. Is child care still available? Yes, we asked people to register their child(ren) so we know how many little ones to expect. It’s helpful if you can provide advanced notice, but it’s not critical. Child care is provided courtesy of the Old Massett Youth Centre and will be open from 9:30am – 5:30pm, both Saturday and Sunday. Tow Truck is preparing a delicious menu full of local sea foods, deer, island-raised beef and chicken, and salads! There will be something for everyone, including gluten free & vegetarian options. Come prepared to ask questions, share your values and views, and engage in discussion about our Islands’ sustainable future. Also, don’t forget your potlatch bag with plates, bowls, cutlery & drinking vessels. How do fuel subsidies work? To offset the costs of fuel, we will provide subsidies for anyone traveling to the event with one or more passengers. We can offer $25 gift certificates each day for transportation from K’il Kun Llnagaay, Daajing Giids, HlGaagilda & Ts’iina Gandlaay (Sandspit, Queen Charlotte, Skidegate, & Miller Creek) and $15 / day for transportation from Tllaal and Gamadiis Llnagaay (Tlell & Port Clements). Will there be door prizes? You know it! 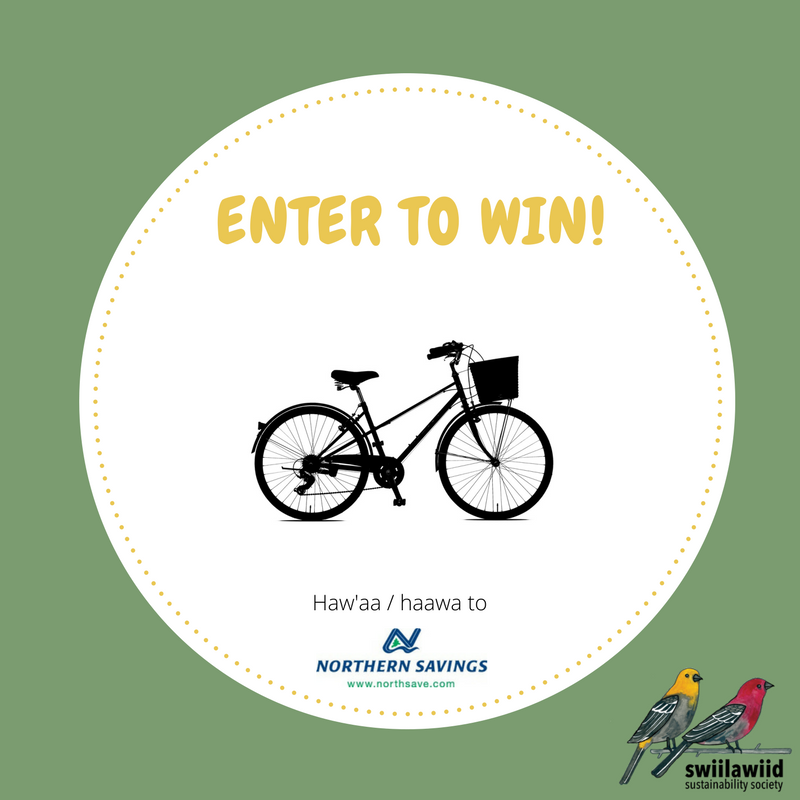 We have some fun & functional prizes donated by: Council of the Haida Nation, Swiilawiid Sustainability Society, BC Hydro, Don’s Heat Pumps, Spark! Sustainable Energy Solutions, Kara Sievewright, Sitka Studio, and the Haida Gwaii Museum. Do you want to volunteer at the event? Do you have a project, business or idea to present at an information booth in the marketplace? 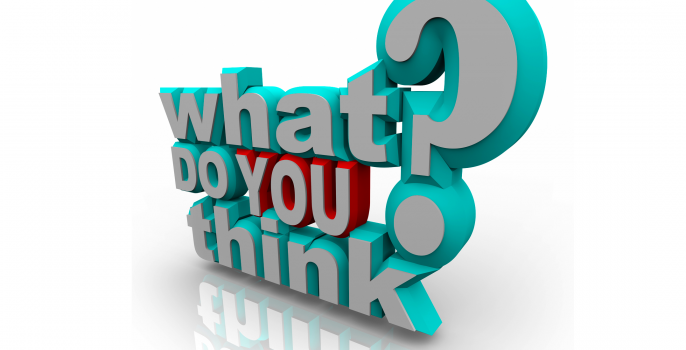 Are you interested in attending to learn and share your thoughts? 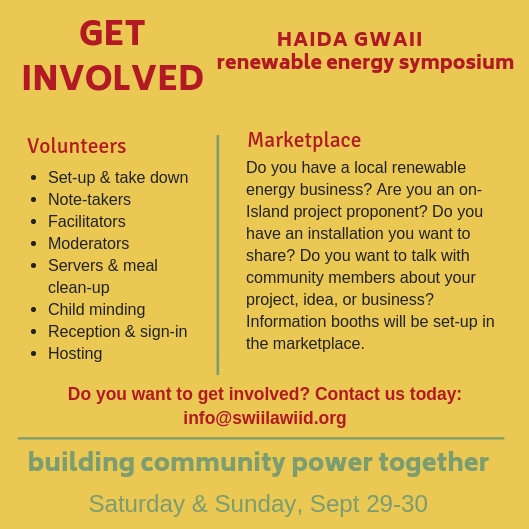 There's a role for everyone at the Haida Gwaii Renewable Energy Symposium! Last week was whirlwind for Swiilawiid! We were honoured to welcome the host (Melina Laboucan-Massimo) and crew of the new TV show called Power to the People (watch the trailer). August 13-16, the crew and Melina met with Swiilawiid, elected representatives, and renewable energy leaders here on Haida Gwaii to learn more about our energy systems today and goals for our clean energy future. Produced by Real WorldMedia, this new TV show will air online and on APTN next year. The Cree has landed! First stop is meeting Swiilawiid directors, Jaalen and Gwaliga. 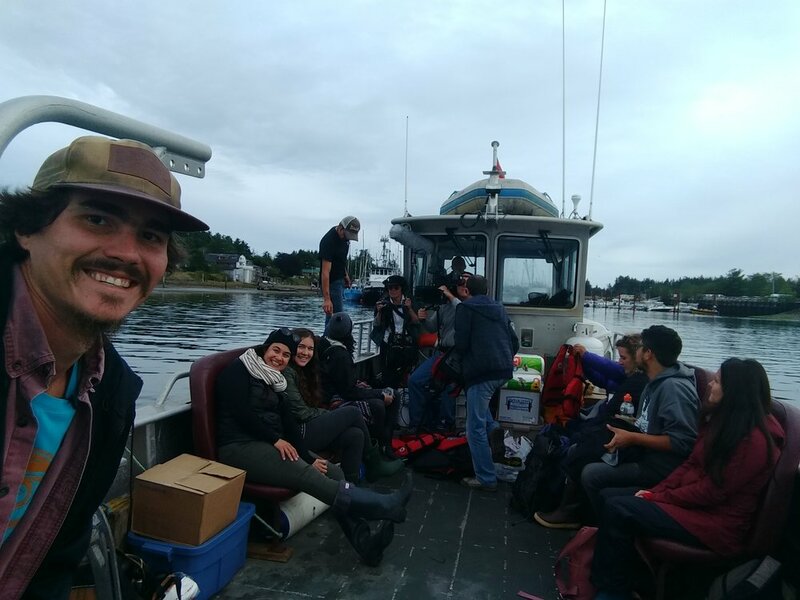 Power to the People's time included community presentations in G_aw and HlG_aagilda, meeting more of the Swiilawiid team & traveling to Haida Gwaii Rediscovery at Talungslung. Haida Gwaii Rediscovery is solarized! This project was a partnership along with Swan Bay Rediscovery and Mount Moresby Adventure Camp. Swiilawiid and friends were thrilled to see the camp powered by renewable energy as we toured Melina & co. to the remote camp. The filming and tour ended on a sunny and clear afternoon, but the conversation about the Islands' renewable energy future continues. 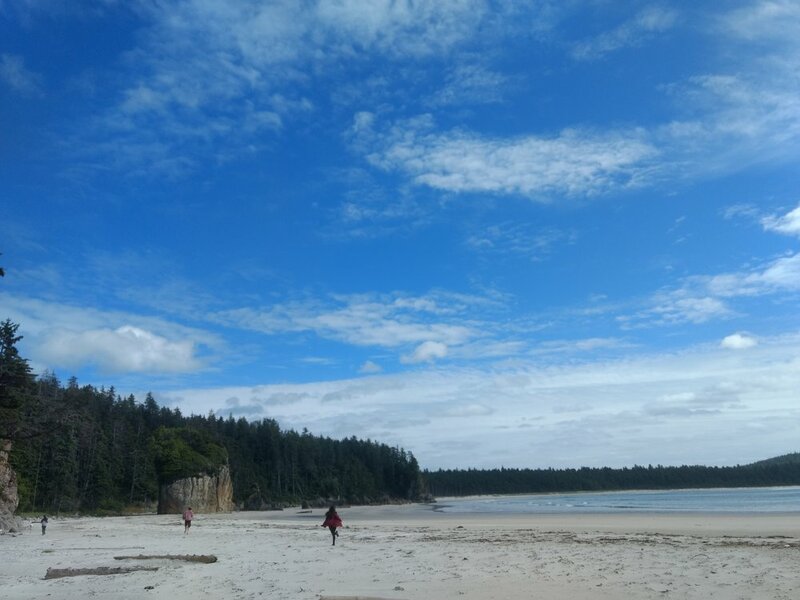 This summer, all three Youth Rediscovery Camps on Haida Gwaii were powered with solar energy! Here is a report from Leslee Mackey, Executive Director of Mount Moresby Adventure Camp. Mount Moresby Adventure Camp’s first camp season with our new solar energy system was a huge success! It was incredibly inspiring to see youth run past the solar array on their way to the lake every day and realize that to them, solar power will be a norm, not an exception. Swiilawiid’s project to bring solar power to Haida Gwaii Youth Centres and Youth Camps means teenagers now hang out and stay in spaces powered with renewable energy and conversations about energy efficiency and how we choose to use electricity are a natural and familiar part of the day. Experiential learning doesn’t get any better! This season the solar power system ran flawlessly, powering MMAC operations without the use of the diesel generator. Not only are we saving money on diesel, we also have new options for our facility that were not possible when we were dependent on the generator. We can now run a UV filter on our water system and can move to an energy efficient fridge, rather than relying on a propane one. We can also run an energy-efficient freezer, which has been a game-changer for the kitchen. We have so many more options, all of which are environmentally friendly and sustainable, and that just feels good! For over a year, Swiilawiid has been out in the community talking about renewable energy and searching for inspiring stories from off-Island. In our conversations, we heard that energy awareness (that is, knowing how much energy you’re using) and action at the household level is an important first step in the shift to energy independence. Hearing this, we set-out to offer information and tips on how Island citizens can track their energy usage and start saving. We launched the Haida Gwaii Renewable Energy Toolkit in January and issued a friendly Island-wide energy savings challenge last month. February is one of the coldest months of the year, and with Hydro rates ever-increasing, we thought that would be the perfect time for people to start saving! When asked, “What is your vision for Haida Gwaii’s energy future?” the answer was consistent: Islanders want to get off diesel generators and see our beautiful home become energy independent. "Would love to see more renewable sources both large and small scale"
"Less reliant on diesel, more wind, tide, solar power"
Swiilawiid is committed to working with our local communities towards this shared vision! Send us an email with your thoughts and keep an eye out for upcoming opportunities and renewable energy discussions! Haw’aa / hawaa / thank you to all who read the toolkit, participated in the challenge, and took the time to complete the short survey. Is your home or office super energy efficient? Do you have solar panels at your house or work? Do you have a wind turbine? We want to showcase all of the amazing projects and clean energy stories in our next publication! If you have a success story to share, fill out our short online form or pass it along to friends or neighbours who want to share their story! Swiilawiid is thrilled to announce Solar: A Bright Future, a series of solar installations to take place on Haida Gwaii this summer. 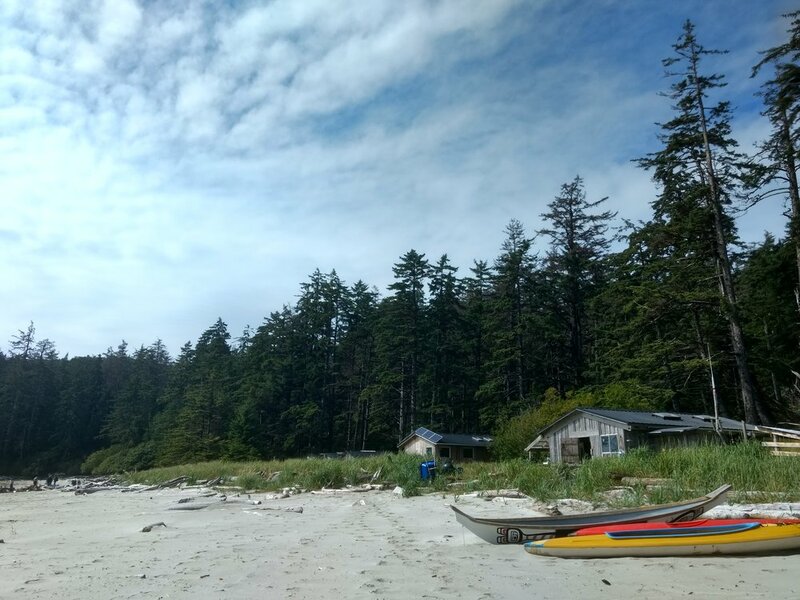 We will work with the ReDiscovery Haida Gwaii Program, Swan Bay Rediscovery, and Mount Moresby Adventure Camp to install solar panels at all three remote locations. Solar: A Bright Future, works to reduce the camps’ annual environmental footprint, showing youth and local communities that we can be environmental stewards and positively shape our energy future. The solar installations demonstrate Haida Gwaii’s commitment to work towards a renewable and environmentally sustainable future. It is a symbolic shift marking a transition away from fossil-fuel power towards local clean energy. The solar project offers an example that renewable energy is possible on Haida Gwaii, and will illustrate the potential for small-scale clean electricity on the Islands. Youth who attend the camp will have the opportunity to learn about solar potential and see first-hand that small-scale clean energy is possible. Solar: A Bright Future is an opportunity for local people to learn more about energy systems on Haida Gwaii and celebrate the leadership and initiative in the emerging shift to renewable energy. Old Massett Youth Centre is Going Solar! Swiilawiid is thrilled to collaborate with the Old Massett Youth Program to install solar panels on the Youth Centre this spring! Last month members of the Swiilawiid team met with the Youth Workers and agreed to partner on a solar array on their building in Old Massett! The 5 kilowatt installation should cover the building's energy needs, reducing (maybe eliminating!) 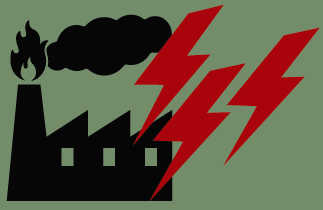 electricity costs and taking real leadership in reducing their carbon footprint! Way to go Old Massett Youth!!!! Stay tuned for more details and contact us if you want to get involved: info@swiilawiid.org! BC Hydro is seeking input from Islands' residents on its Rate Design Application (RDA), but at this point the company is not proposing any specific changes in Haida Gwaii's electricity rates. BC Hydro Advisors will be on Island this week to describe customer rates, answer questions, and will be seeking input prior to filing an RDA in mid-2017. BC Hydro will be proposing different scenarios to supplement Haida Gwaii's diesel-generated electricity, although an Energy Advisor was unable to share any details before the presentations this week. These events are open to the public and everyone is welcome to attend. On August 11, 2016, the CBC published a piece covering Haida Gwaii's Yourbrook Energy's prototype for a tidal energy generator. Clyde Greenough, business manager of Yourbrook Energy, said his company has developed a generator that is powered solely by the ocean’s tide. Read the rest of the article on the CBC website.